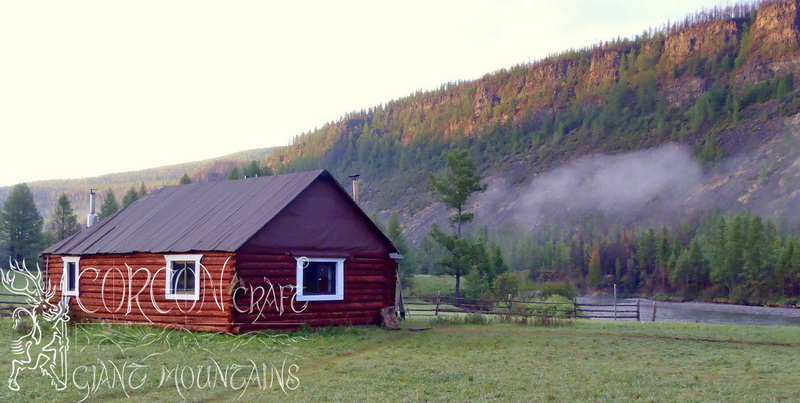 Within a virgin land and in the middle of the untouched Mongolian wilderness, in the world of Hucho Taimen, our traditional main camp has been built of solid log-cabins. 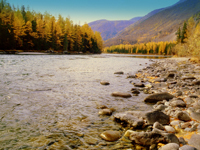 A comfortable wilderness camp featuring a bathroom with hot showers, an independent power supply, a stylish dining room with bar, large kitchen and service, situated deep in the tranquility of the Eastern Sayan Mountains. 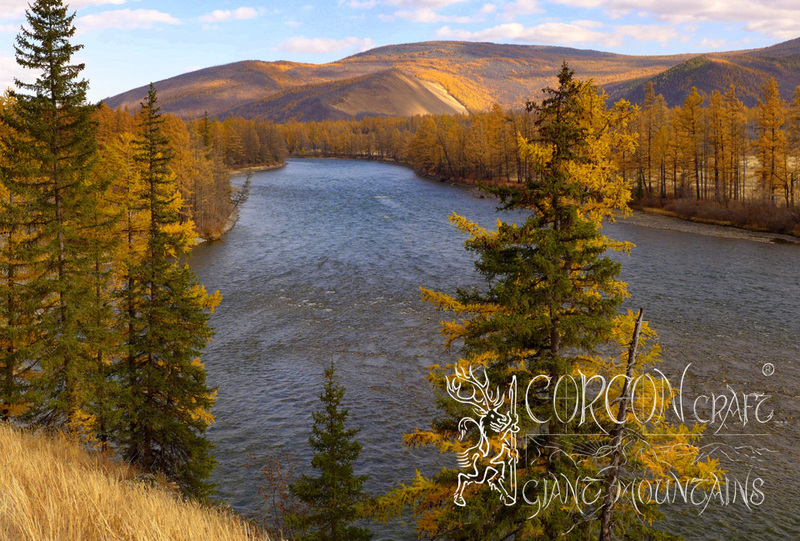 Right at the banks of the legendary Shishkid River, the Mongolian headwaters of the mighty Siberian Yenissei, the largest river in Siberia. 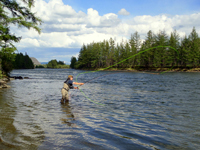 The accommodation of our fishing guests is in cozy 2-bed log cabins with wood stoves and friendly service by our native colleagues at the wilderness camp. 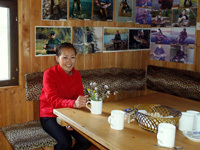 One large bathroom with running water and hot showers serves for the generous camp, which we never occupy by more than 6 anglers. 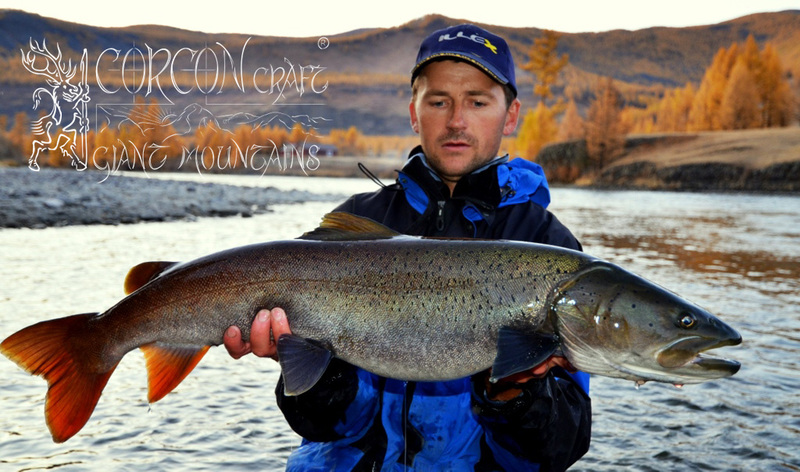 A complete 2 weeks of wilderness fishing with full board of fresh organic food and high grade European and native Mongolian cuisine, at one of the very best Taimen rivers in Eurasia. 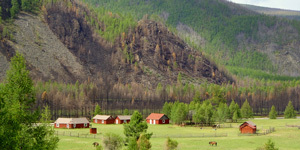 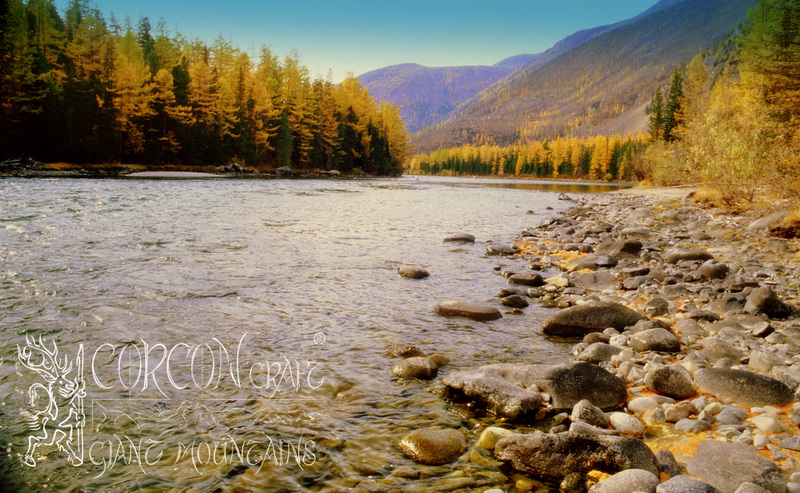 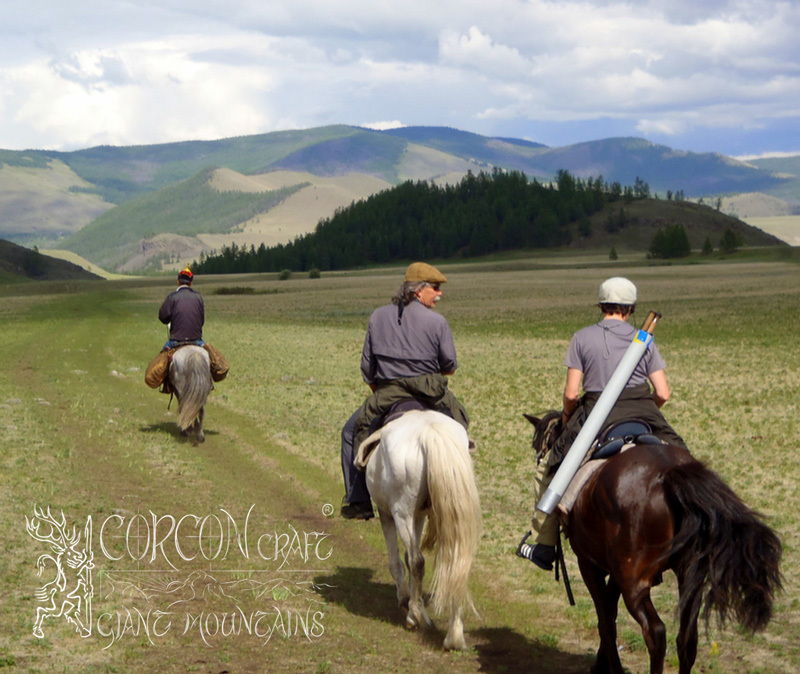 Our head camp is fully equipped with rafts, horses, tents, camping gear, and experienced local guides and horsemen for longer fishing explorations along the wild river, on maintained trails in breathtaking dramatic highlands, at remote hunting cabins for staying overnight at lonely Taimen pools. 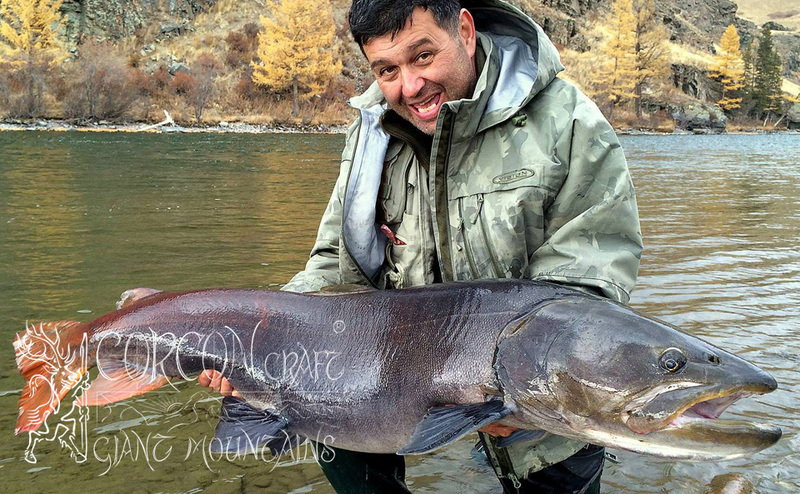 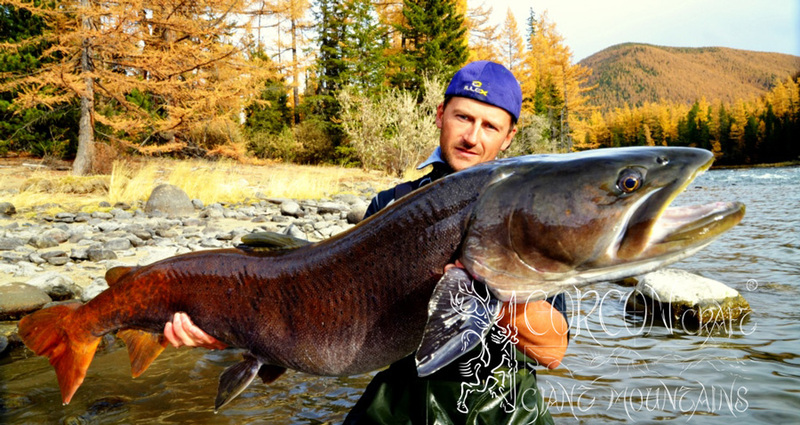 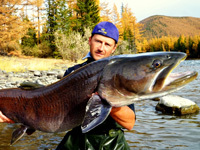 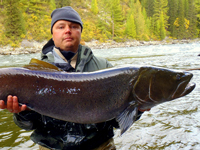 Every year, the headwaters of the Shishkid River are producing record-class catches of Giant Taimen specimen for our experienced fishermen clients, for more than 20 years now. 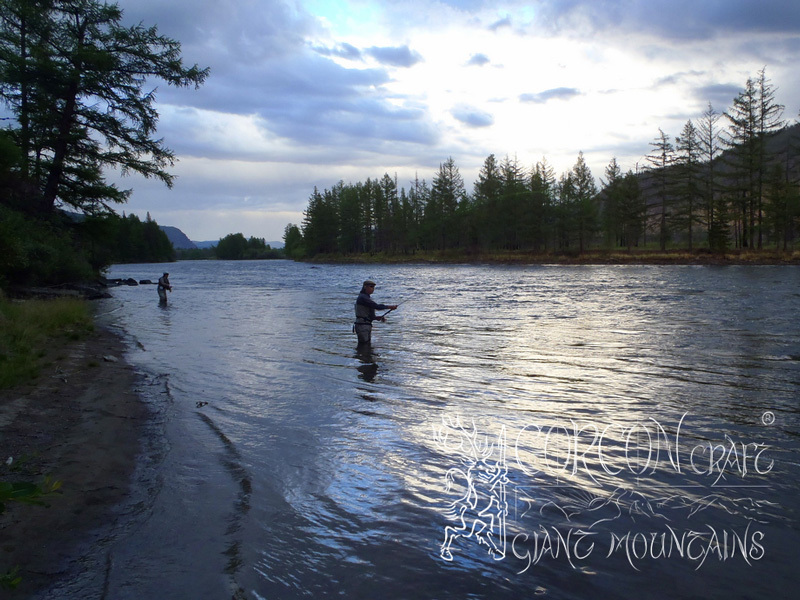 The river is very wild, with a fast and steep current, with many tall basalt rocks towering above the stream, and with countless boulders, crooks, and islands, forming a perfect habitat and best refuge for the Mongolian Taimen. 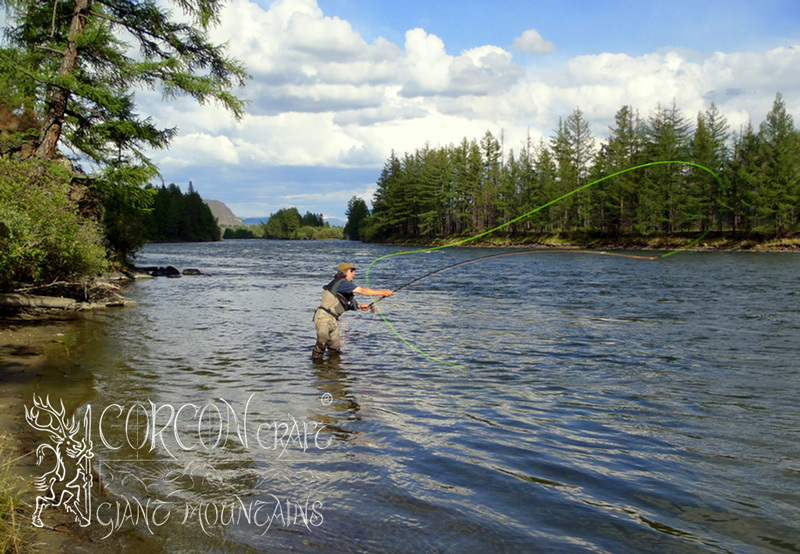 Our fishing takes place from the river bank, and by wading, where possible. 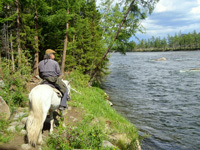 Rafts and horses are used only to reach remote Taimen pools and river beats. 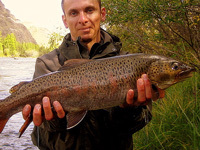 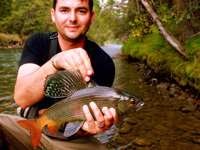 Every Taimen tour is guided by one of our experienced European river guides and fly-fishing masters. 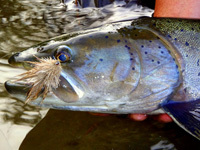 The special fly-patterns and productive fishing techniques are introduced by our Taimen guide at the wilderness camp. 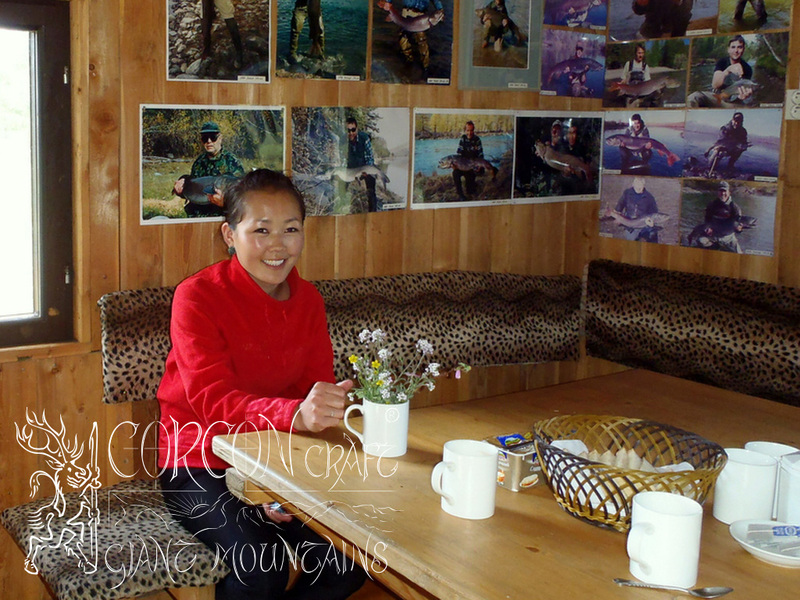 Only 1 Taimen expedition per season down the river and deep into the wilderness of the Mongolian / Siberian Borders, using our wilderness camp Khanagai as base camp. 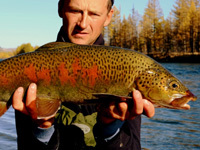 One of the last and prime refuge of the Mongolian Giant Hucho Taimen. 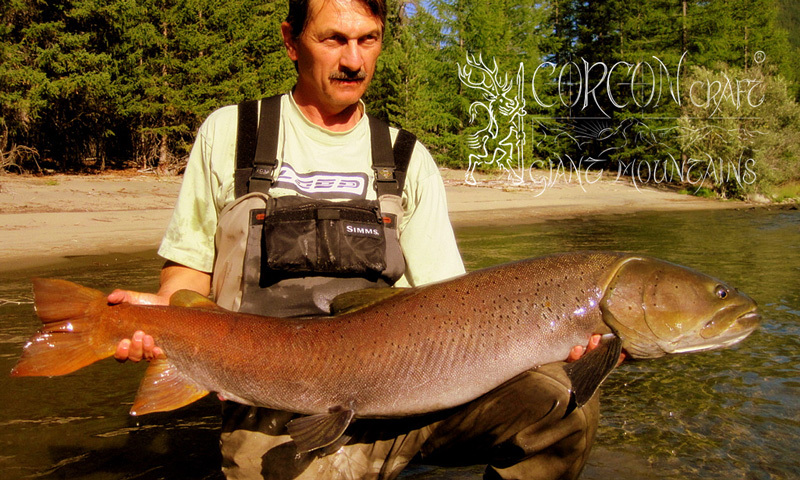 Pure wilderness Brown Bear and Giant Taimen country. 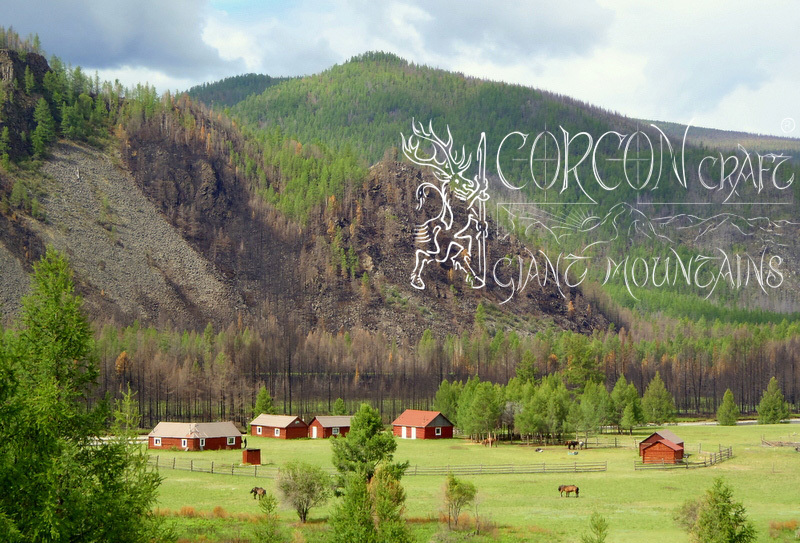 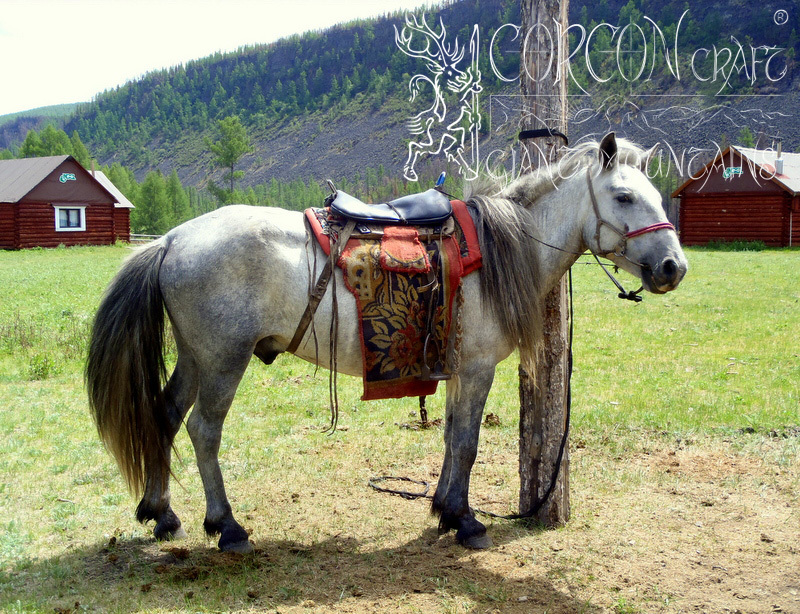 Well-equipped expedition with horses, pack-reindeers and the best native pathfinders and local hunters. 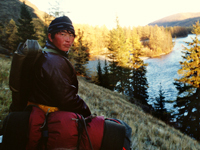 No more than 4 experienced and physically healthy and enduring sportsmen can take part at this demanding Taimen expedition. 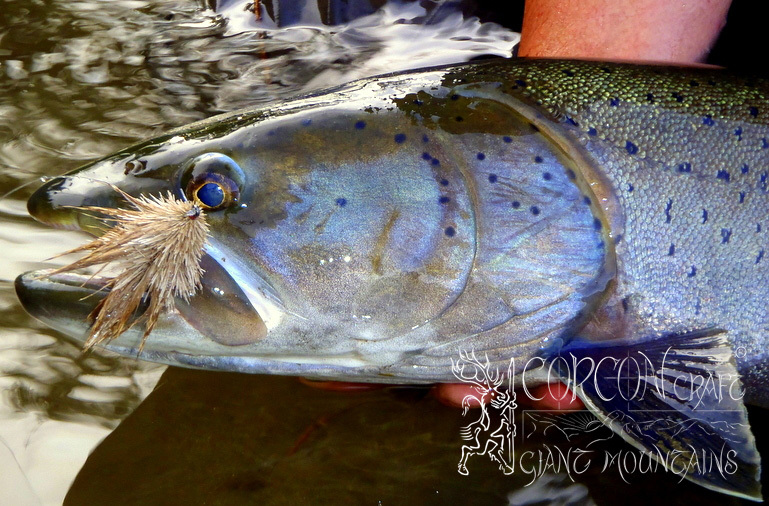 Fly fishing only. 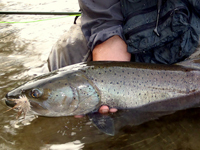 Strict single-hook policy and catch & release fishing only, as applies to all of our Taimen fishing and fishing for record-class Lenok Trout and Grayling specimen. 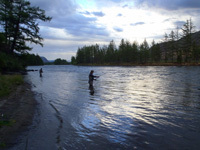 Wilderness Camp at the banks of the legendary Shishkid River (Russian Yenissei). 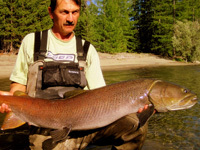 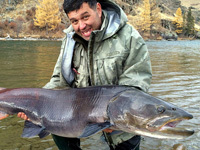 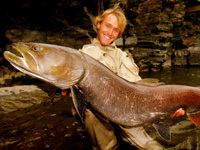 Sport fishing for Giant Taimen in the record class. 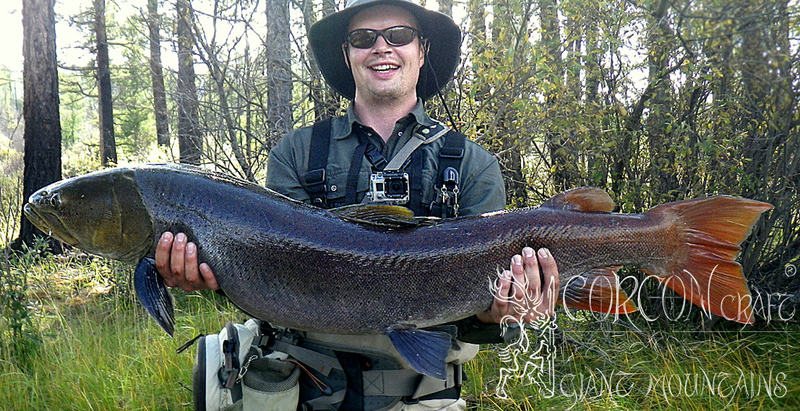 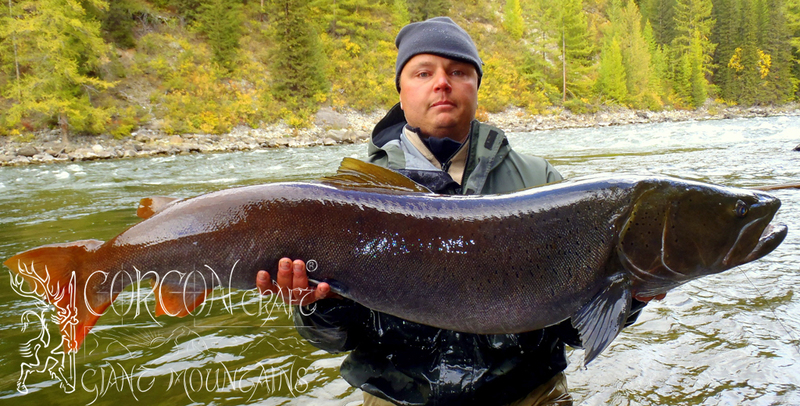 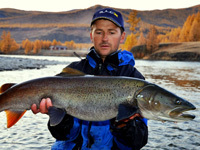 Special fishing permits from the government and strictly limited Taimen licenses for our clients only. 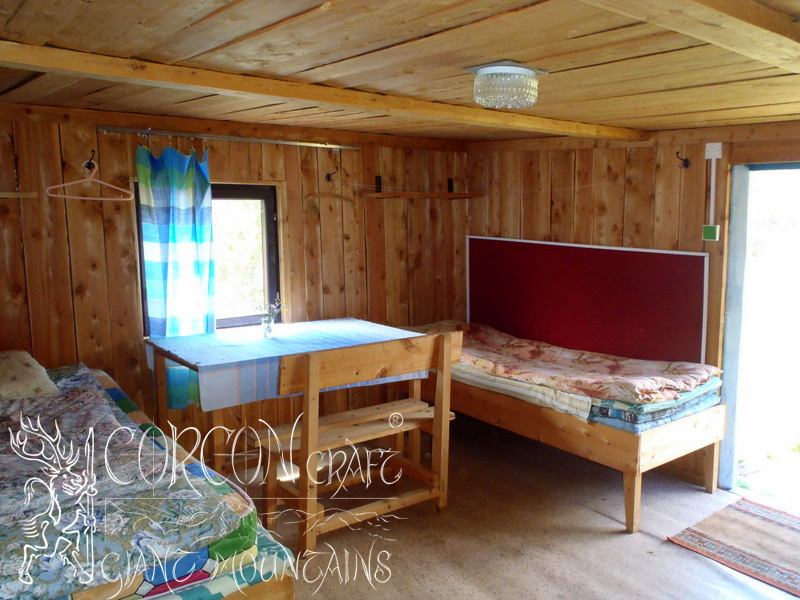 Comfortable log-cabin camp with full equipment and independent power supply. 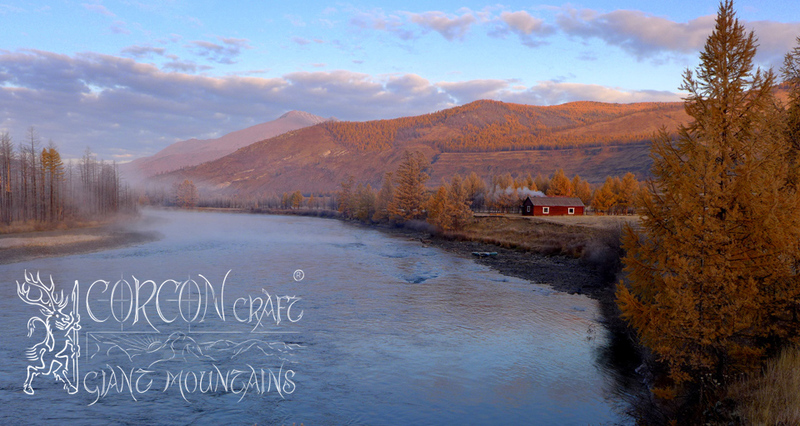 Cabins along the river. 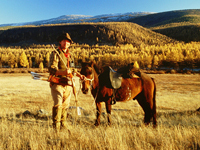 Situated roughly 70 miles from the next settlement, 250 miles from the provincial town Moron. 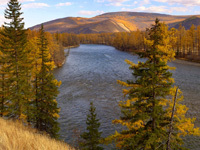 Within National Park of 1.st order in the Mongolian Eastern Sayan Mountains. 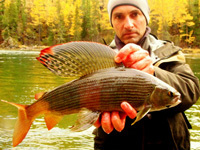 Fishing for large Hucho Taimen, prime Lenok Trout and precious Yellowtail Grayling. 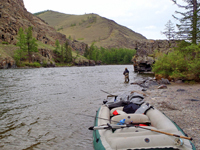 More than 50 miles of wilderness river for groups of no more than 6 anglers. 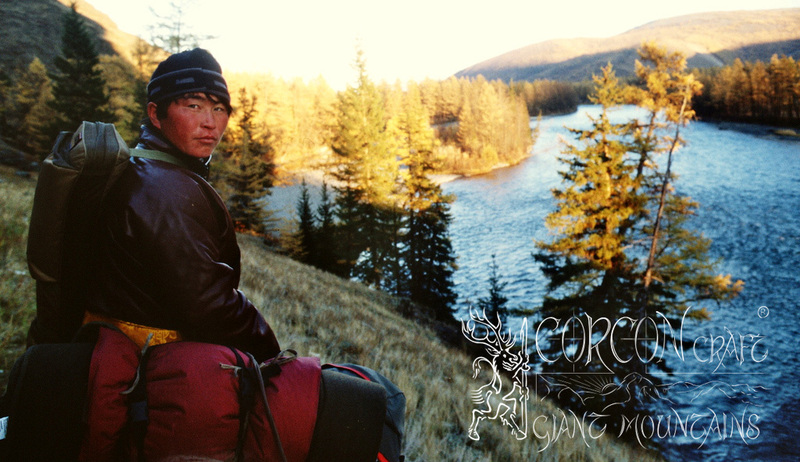 Wilderness fishing in the untouched Mongolian / Siberian Borders. 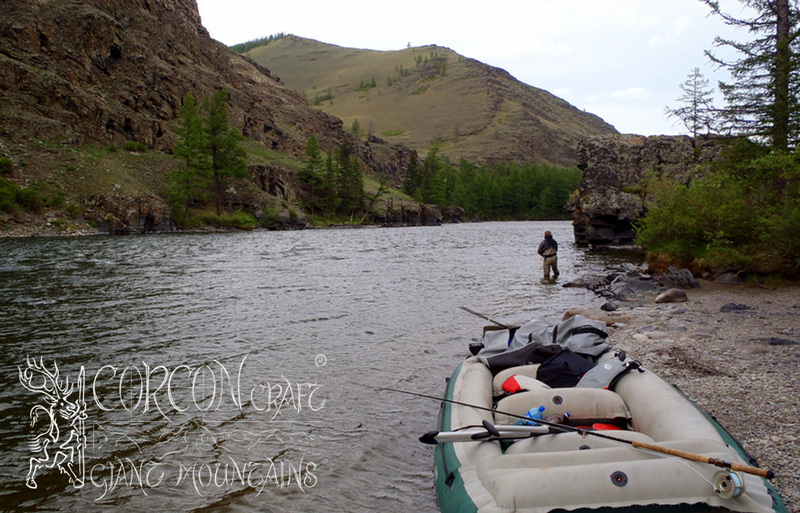 Day trips and extended explorations at fishing cabins along the river. 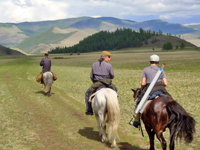 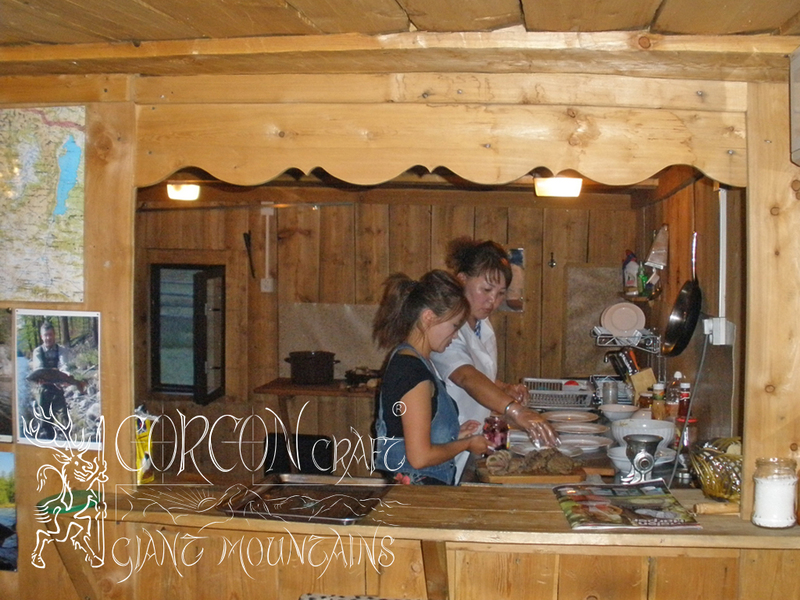 Our camping equipment includes horses, rafts, tents, native guides and horsemen. 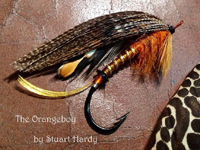 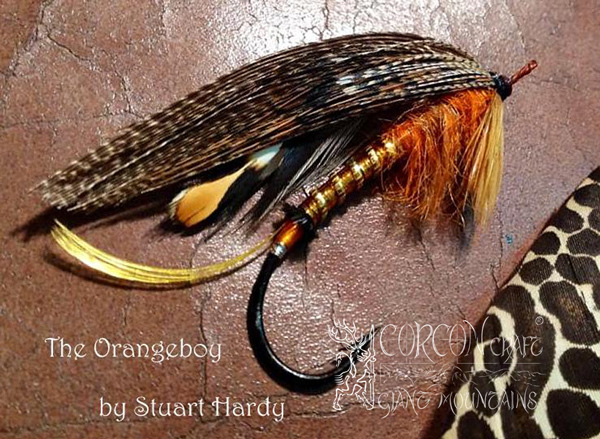 Suitable for both fly-fishing and spin-fishing sportsmen. 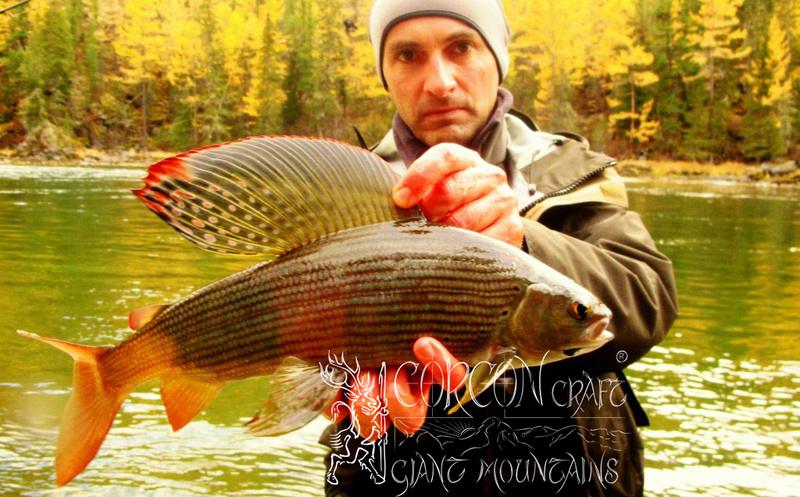 Small fine collection of custom flies included for each first-time fishing guest. 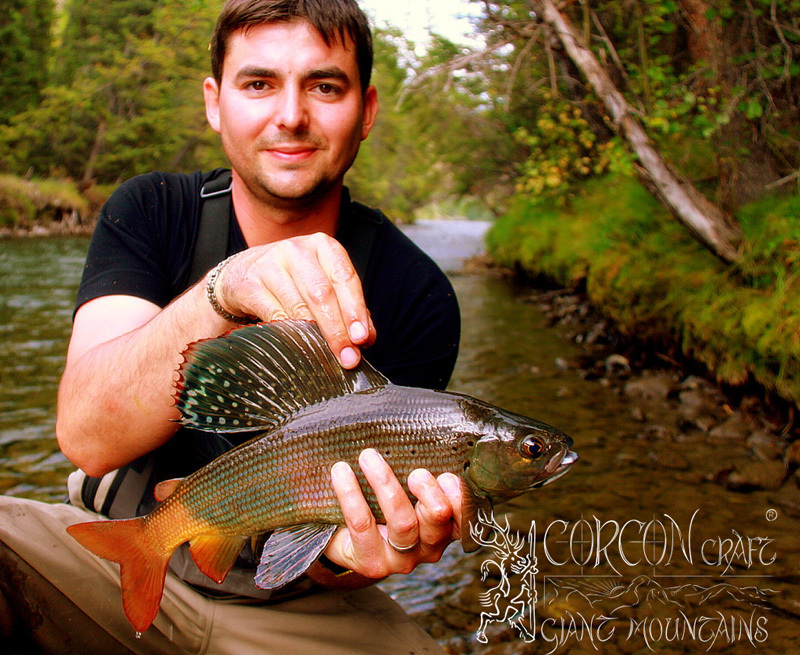 Recommended tour dates for the fly fisher are in the spring season (massive hatches of large insects) and in the early autumn. 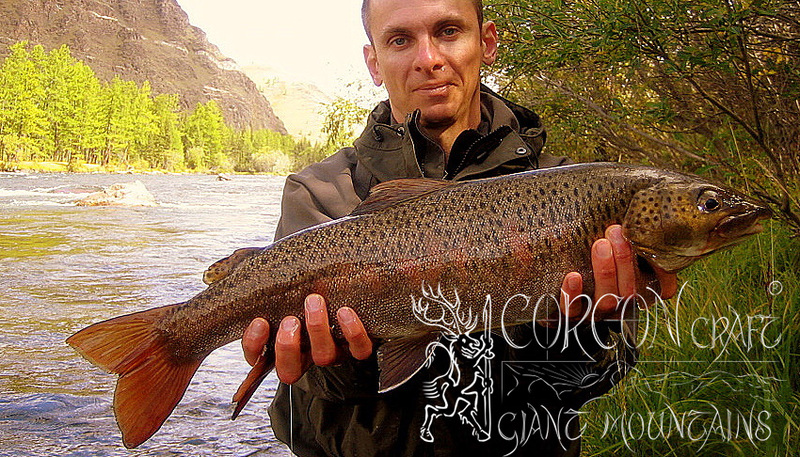 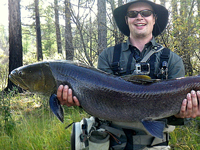 Every Taimen Tour is guided by one of our experienced European river guides and fly-fishing masters. Only 1 Taimen Expedition per year down the river and deep into the wilderness of the Borders, 18 days with horses and pack-reindeers. 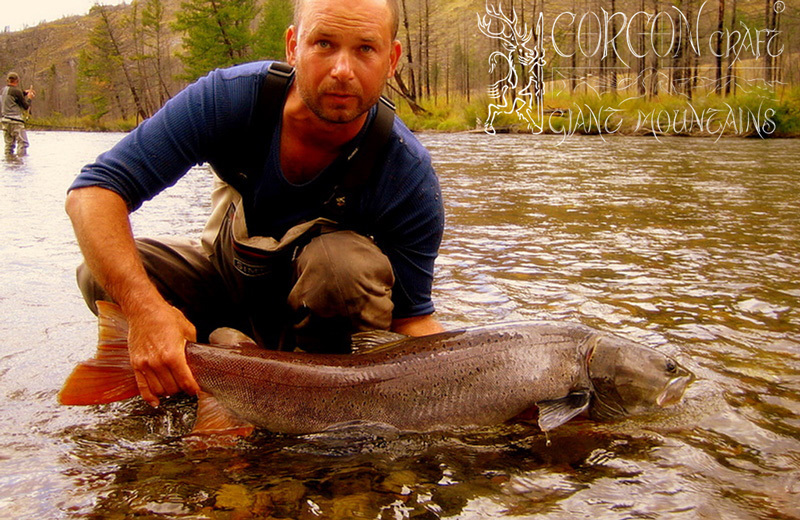 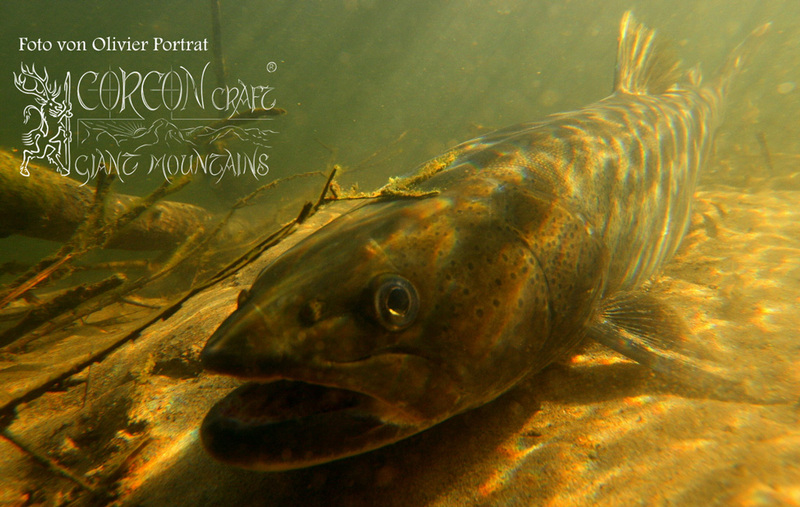 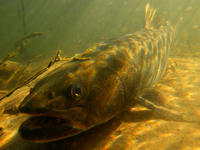 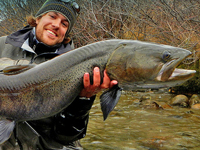 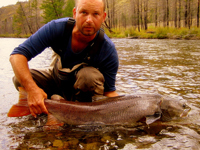 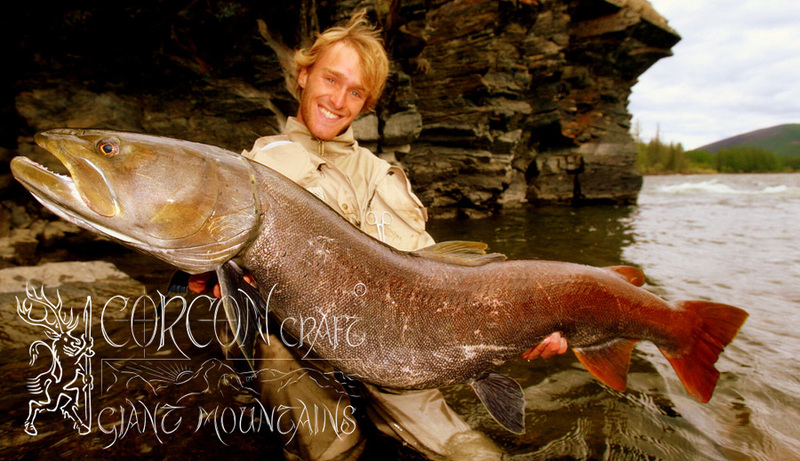 No more than 4 experienced sportsmen can take part at this demanding fishing expedition.